As you see the air frost over your window, inspire yourself to meet the cold head on. This performance pullover and cozier-than-ever fleece leggings are an unbeatable match. 89% of members who purchased the Pace 2-Piece Outfit recommend it. 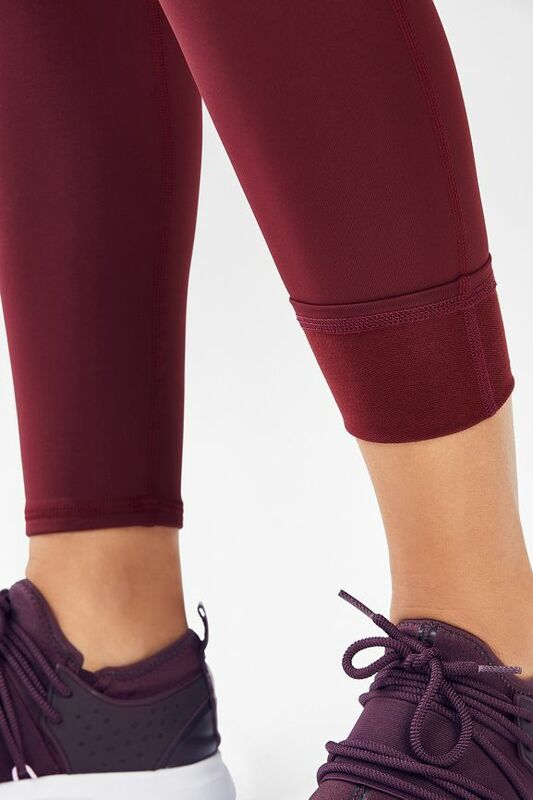 I bought these thicker leggings for outdoor walking in the winter in the Mid-Atlantic, because leggings with mesh holes just don't cut it when there are 15 degree wind chills. I loved wearing them to exercise outside or lounge around inside all winter long. Very comfortable winter leggings. Wish it was a tad bit roomy in the belly area or perhaps it's just me. Mine rolls down a little bit but not all the way down though. Perfect leggings for running in the winter here in Missouri! Kept me warm but not too hot! My only "issue" with these is the seam line down the front. To me it makes the pants have the potential to have the "camel-toe" effect. It could just be the color of the pants Bc I usually go for black. By far my favorite legging! I wore this to the Winter Classic in January and definitely felt like my legs were staying warm even though it was freezing. True size M fit. Warm for colder weather months and VERY COMFORTABLE! Very fashionable, comfortable fit and convenient pocket..
Great fall color for outdoors workouts. It is a bit warmer, so just expect that when ordering! You can still certainly wear it to the gym, you'll just work up a bit more of a sweat! This is my go-to top for chilly mornings/days running to daycare. I love the color and style of this top. I wish the pocket was bigger to hold my phone and the hood pulls the neck somewhat tight against my neck... these two reasons are why I didn't give this top the highest ratings possible. For me, the fit was just too tight. I believe I bought the XL; sadly I didn't feel comfortable in it. Also, I didn't like the color on me. Probably great for someone not as curvy as myself. Size M is a little snug but I feel that the size L would be too big. This pullover is comfortable, lightweight and perfect for a run during cool early AM hours. I would wear this as a top over my workout clothes to keep me warm when chilly also on errands when I leave the gym. Love this top for the cooler weather. Very pretty color and flattering fit. Also like that it's a hoodie! I ordered a size larger so it would be a bit roomier to wear over a tank. I wear it to the gym and for every day wear.